you... cut off a werebeast hand. on a white sand tile?.... now I'm curious if a raised hand from a werebeast still transforms under a full moon. would be VERY breakfastpit for that to be the next problem we face. a severed hand reanimates and transforms into a full werebeast. yeah... I think I started some copper? but barely got around to finishing the magma smelters before my turn ran out. It used to do that, but now it doesn't seem to work anymore. The white sand tiles raise the dead on this map. We're supposed to be building a farm, and we're talking about cloning an army of werebeasts to unleash on the world. Carch likes steel, tin, pewter, sharks for their sharp teeth, dragons for their possessive nature and magma smelters for their warm glow. A REAL DWARF WOULD NEVER QUESTION THE NEED FOR AN ARMY OF UNDEAD WEREBEASTS, YOU MAGGOT! Akko's voice, from her cell: "I question the need for an army of undead werebeasts!" A Real dwarf doesn't need those, we should have several ranks of dwarves with axes and hammers, clad in steel, not rely on these... abominations... of !!science!!.. actually. I stand corrected. go ahead! WE SHALL SHOW THEM ALL HAHAHAHA! All right! My classes are finally done, so I should be able to finish my turn up soon. DOZEBOM!? THAT SUGGESTION-DISPENSING MAGGOT WILL TAKE OFFICE AGAIN OVER MY DEAD BODY! Anyways, it’s going to be another month until Akko’s hand is fully cooked, so time to move on to some other projects. First of all, I figured out what to do with all of the infertile spots in the farms. Bees! Finally! Food production that fights back! I ordered the construction of new, larger seed and food stockpiles and kitchens a few levels below the farms, so everything is now nearer together and there’s less walking time between the farms and storage area. WHAT?!!! WHAT IS THE MEANING OF THIS YOU MAGGOTS?! THIS WILL NOT STAND! I stormed straight down to my office to find “Dozebom” already there, storing away my mandates and favorite weapons and unloading his own. I picked that maggot up and threw him bodily out the door without another word. Then, I went up to our bookkeeper’s office, found their “ballot box,” and tossed it into the magma pit under the forge. Ha! How are you going to un-elect me now, maggots? Akko’s hand has resurrected nicely. Now, you’re about to see some real magic happen. All of you just watch. It’ll turn into a werebeast any second now. Aaaaaany second now… Look! You see! Werebeast! Oh wait, no. That’s blood. What? No! It’s supposed to turn into a werebeast. It’s always done that. That’s how it’s always been. Right? Surely some fundament of reality couldn’t have just up and changed? Well, this has all been a great big waste of time. I mean, now I have this whole system set up for containing undead and everything. I suppose I’ll just start dumping corpses in there anyways though. Ahhhhhh. A Forgotten Beast. Majestic, isn’t she? She’s down in the cavern below the Breakfast Pit and doesn’t seem intent on hurting anyone for the moment, so I’ll leave her be for now. 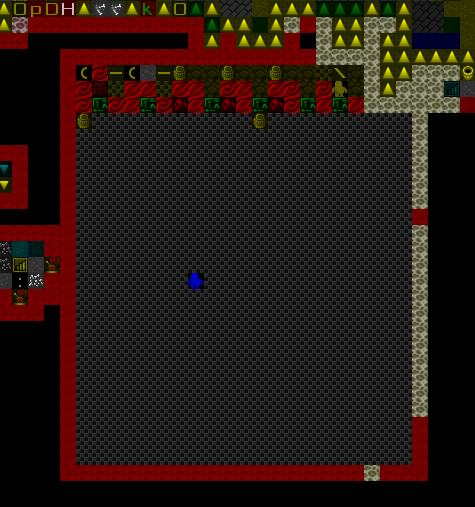 There was an unexpected aquifer right in the middle of where I dug, so it’s got a real goofy shape. I’m not sure if it will actually work and I don’t see any fishes yet, but it’s still early. And now a child is taken by a fey mood. Well, can’t wait to get my hands on that “legendary” scepter that they’re probably going to make. Also, the Forgotten Beast seems to have become locked in permanent combat with an ogre corpse. And is losing. Some Forgotten Beast, huh? Right next to the entrance to the fort. Excellent! 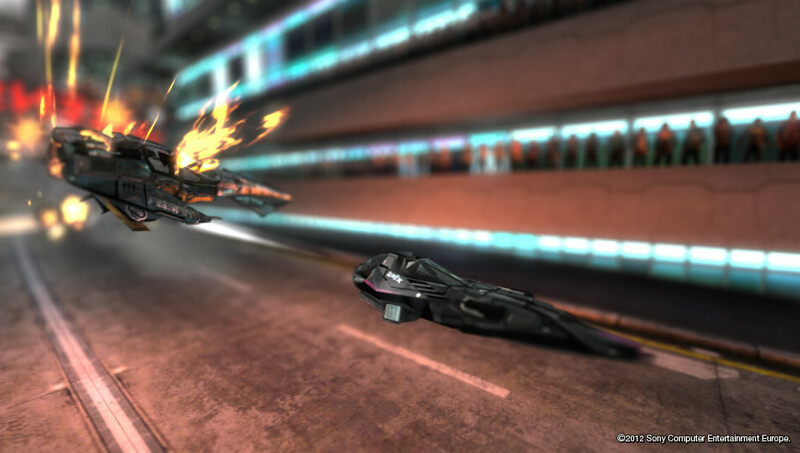 A chance to test our combat capabilities. I immediately ordered all civilians underground and mobilized all military forces. However, it was almost immediately dispatched by the Noloc and SQman, so sadly there was no real challenge. It also died on the resurrection bone-sand, so now I’ve got to move it before stops being dead. HA! TAKE THAT YOU MAGGOT! Don’t know what that was all about, though. I’ll just throw his corpse in the resurrection pit with the others. We have plenty in the dining hall already. Oh boy. Another… valuable and useful artifact. I’ll put it in one of the great bins of respect in the stockpile of worthless garbage. How grateful we are, oh brilliant crafter. Although to be fair it’s got some gold inlay, so it’s actually fairly valuable. 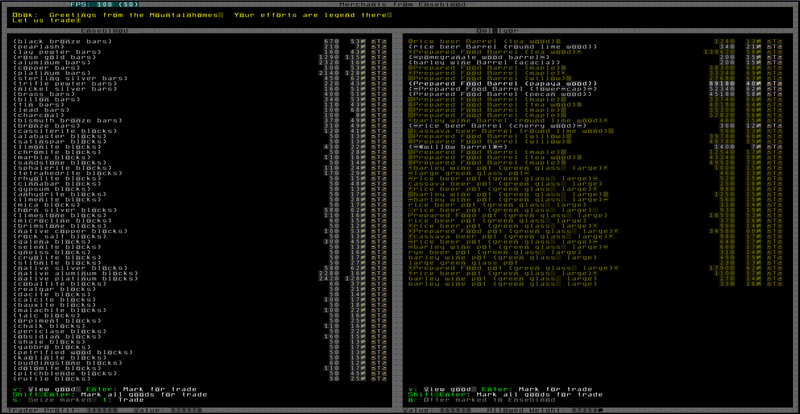 And, finally, the dwarven caravan arrived. No humans this year, though. My maggot predecessors made sure of that. I ordered all prepared food and drinks moved to the Depot. I’m keeping all unprepared plants, since if I get rid of those there won’t end up being many seeds left for replanting. 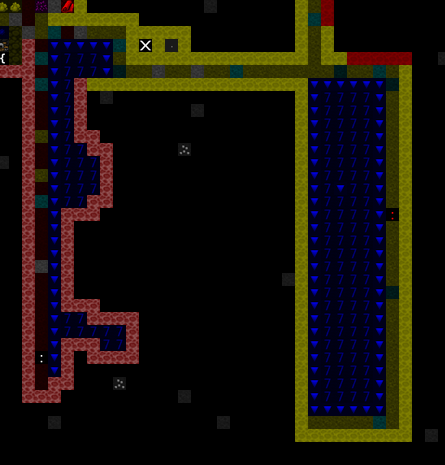 Also, a fisherdwarf saw what we had in the resurrection pit and got so scared that he fell in. He died to the combined efforts of a troll hand and a troglodyte head. Wimp. I’ve got to make the dump shaft taller or something so that won’t happen again. Anyways, here’s the trade record. I traded away a total value of 86993 dwarfbucks. I would also like to take this opportunity to point out that this far exceeds the value of any other recorded trade in our fortress’s history and in fact almost matches the combined value of all of our previous recorded trades. You see what happens when you stop listening to all of the maggots complaining and just do whatever you want? Things get DONE! And speaking of the undead pit, apparently the undead can crawl out of the hole. I could swear that it was only living beings that could do that, but whatever. 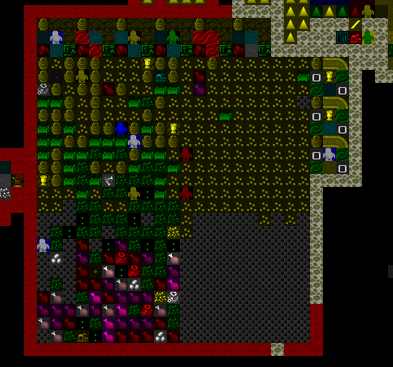 That fisherdwarf that died earlier came right up out of there and killed the miner who was trying to wall the stupid thing off. I’m building a big tower over the resurrection pit, by the way, to prevent precisely this sort of thing from happening. There’s also a roach man and woman harassing the farmers on the surface, so that’s kind of annoying. I finished up the tower and put a trap at the top, so on the off chance that an undead STILL manages to climb up there, it will get pummeled back to death by bronze maces. Since we’re supposed to grow own food, this is against the charter of our fort. So, I’ve forbidden as much of the traded food as I could find. The next overseer can get rid of it by dumping it in the Breakfast Pit or trading it away, but they’ll have to remember to subtract its value from their total trade. Huh. So apparently they CAN still make it up the tower. Well, there goes that project. Still no idea how they’re able to get ahold of the inside of the chute in the first place. I’ve done some reading on climbing, and by all accounts they should be stuck in their pit. Well, guess I’ll just go back to putting corpses in the dining hall. Anyways I think that I’m well suited to mayoral work. My term is supposed to be up, but I think that I’ll stick around for another year. See how things go. I’ll announce my decision to the public immediately! This morning fifty enraged dwarves arrived at my office door. They were wielding torches and pitchforks and demanding that I step down. I locked myself in my office and barred the door with my chair. YOU MAGGOTS WILL NOT TAKE ME ALIVE! DO YOU UNDERSTAND THAT! I have done more for this fortress in a year than any other overseer has done in five! Do you want to go back to how you were? Living in mud rooms? Cowering in fear of the undead rather than facing them like a true dwarf? Because this is BREAKFASTPIT, you maggots! We have endured werebeasts, undead, more werebeasts, goblin sieges, more undead, and even more werebeasts. Soon, Breakfastpit shall achieve its goal and become the greatest farm in all the world, but we cannot do that if we submit to the darkness. To the depression. To the despair. No, sir! I will not go quietly. I will not let this great fortress fall back into disrepair! I can hear the hinges giving away on the door. Soon the mob will be through, but I will not be done. My work will never be done! SO COME AND TRY TO GET ME YOU MAGGOTS! AAAAAAAAAARGH! Editor’s note: Journal entry completed by the poet Ospram Asriipan. When we broke into his office, Mr. Maggot was standing on his desk giving some sort of rousing speech to… himself? We’re not really sure. But, he didn’t even react to us until he finished, which gave us plenty of time to surround him and restrain him when he shouted and tried to attack us. Anyways, we’ve finally constructed a new ballot box and Dozebom has been installed as a temporary mayor until we can count the vote. To our dismay, the baron couldn’t actually find anything Mr. Maggot had done that was technically illegal. 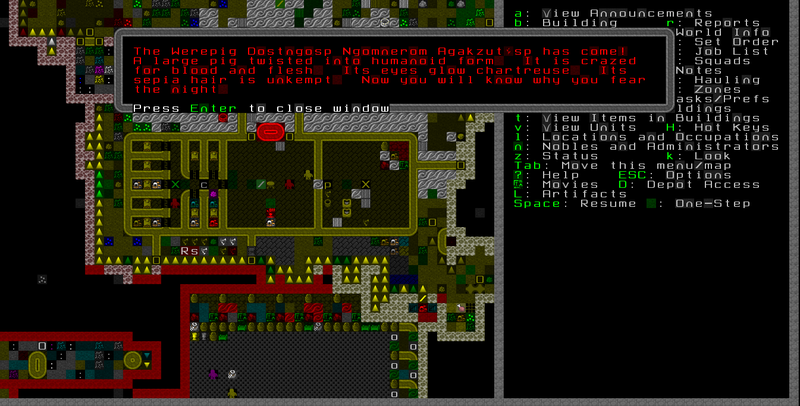 All of his actions were somehow protected under some esoteric dwarven law or another. However, we clearly can’t let him anywhere near a political office again. He’s crazy, militaristic, smelly, and takes far too long to get anything done. So, we’ve decided to let him rejoin his military squad on the condition that he causes no further trouble. Mr. Maggot did leave fairly detailed (if nigh illegible and reminiscent of the ravings of a madman) notes which I have been reading through, so when the newly elected candidate arrives I will be here to answer any questions he or she may have. So, anyone up for a turn? Perhaps open it up so that one of the previous overseers can take another turn? Might try it out, don't depend on me however. I want to be in on the dorfing. Dorf me as "HMetal" please?